Annual Message to Congress with Documents; Pres. Hayes. 3 Dec. HED 1. 45-2, v1-10, 7184p. [1793-1802] Nez Perce campaign; recommends abolishment of tribal relations, and citizenship for Indians; annual report of the Sec. of War (Serials 1794-1978); annual report of the Sec. of Interior (Serials 1800-1801); annual report of the Gen. Land Office (Serial 1800); annual report of the CIA (Serial 1800). including the Nez Perce and Sioux wars. removals to Indian Territory, the Sioux Commission. the Sitting Bull Commission. 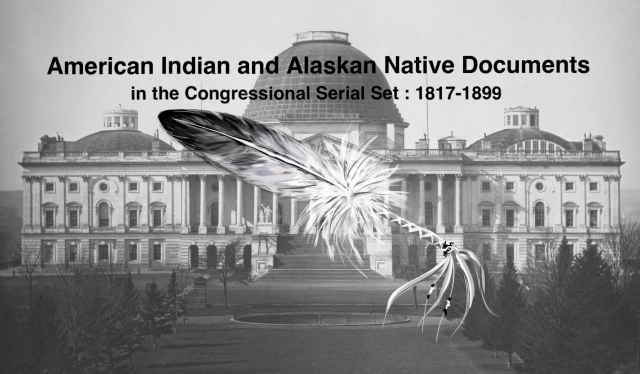 Alaska Indians, and reports of Supts ..agents. schools. and farms; etc.